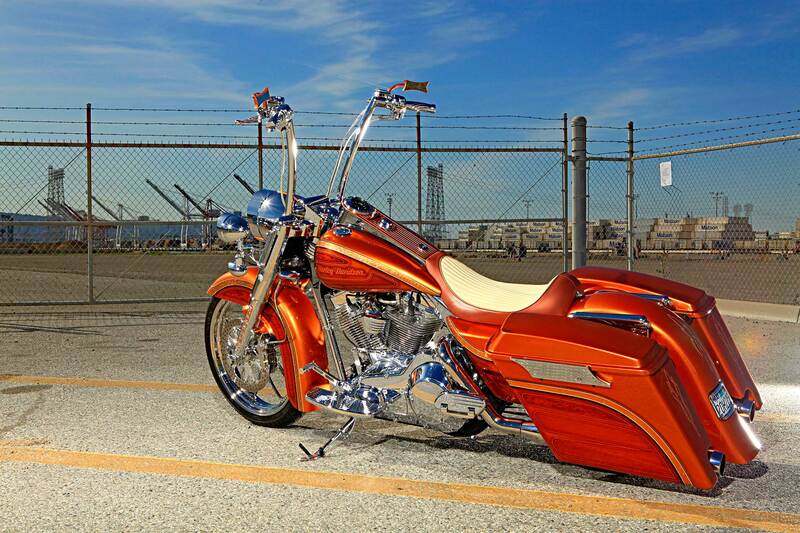 Dino got his first bike at 17, right out of high school. 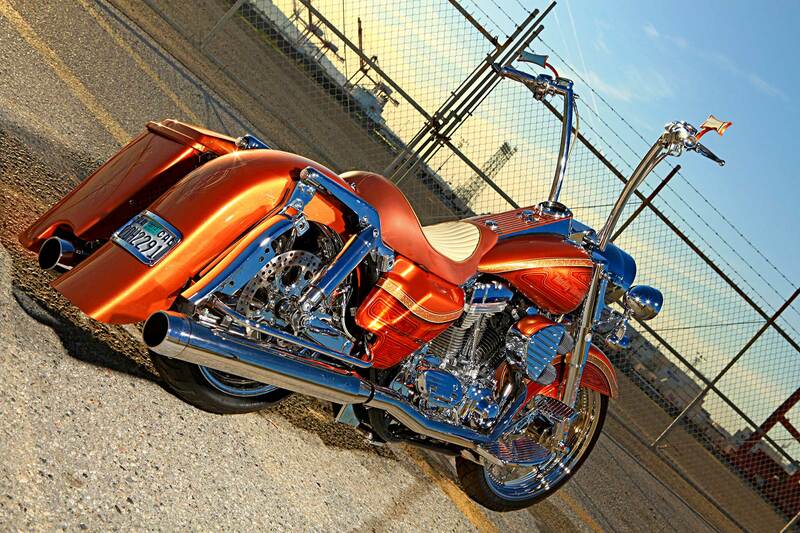 “My dad and I built that bike together. 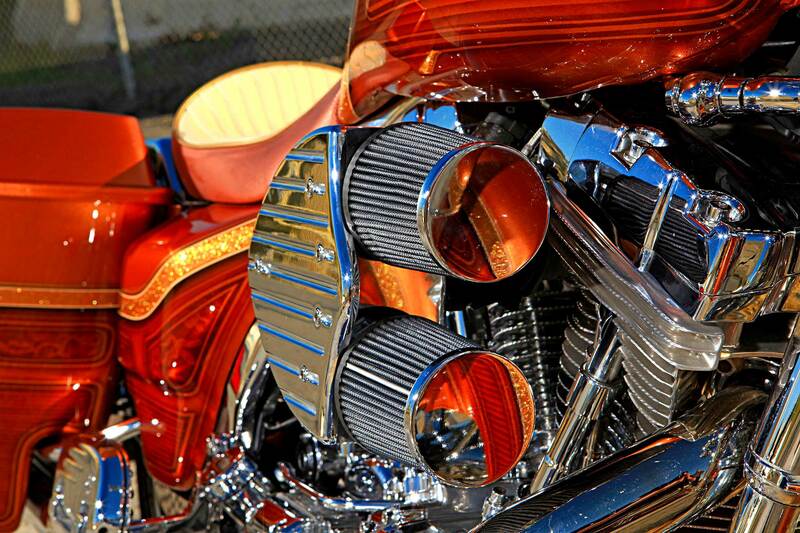 Later on I got a Heritage and then a Road King.” His dad was a big influence on him and would always guide him on what looked good and what didn’t look good on a bike. 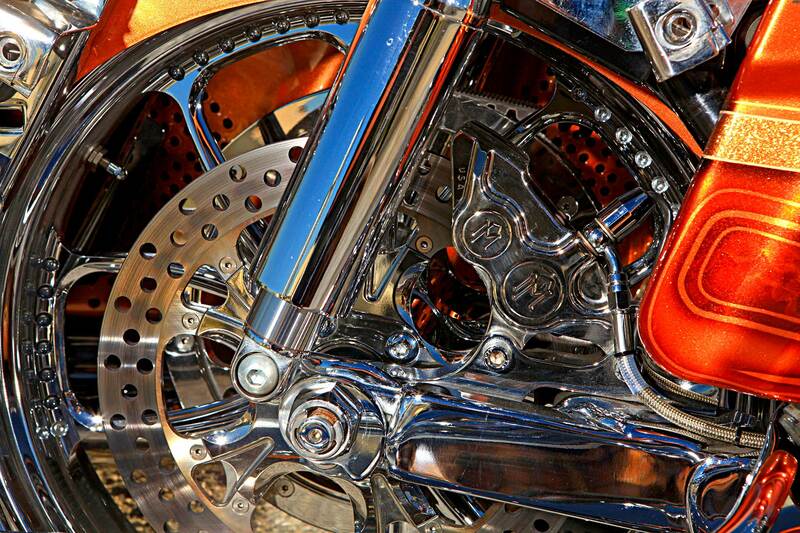 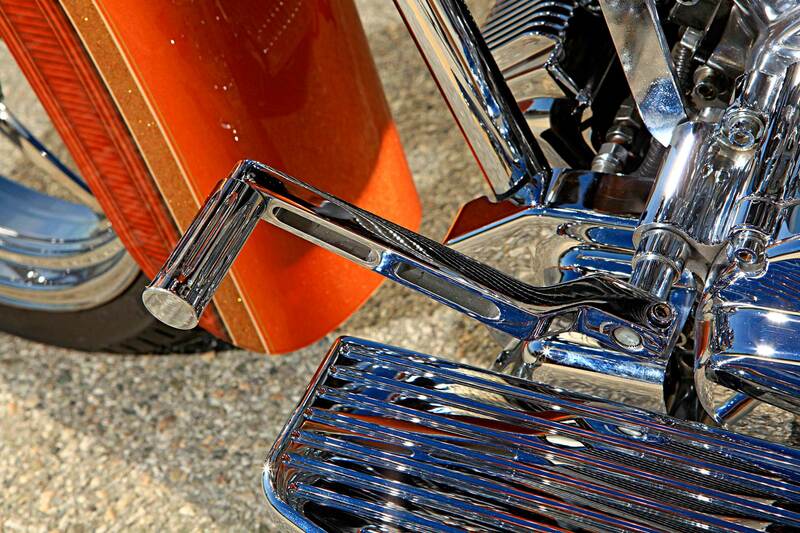 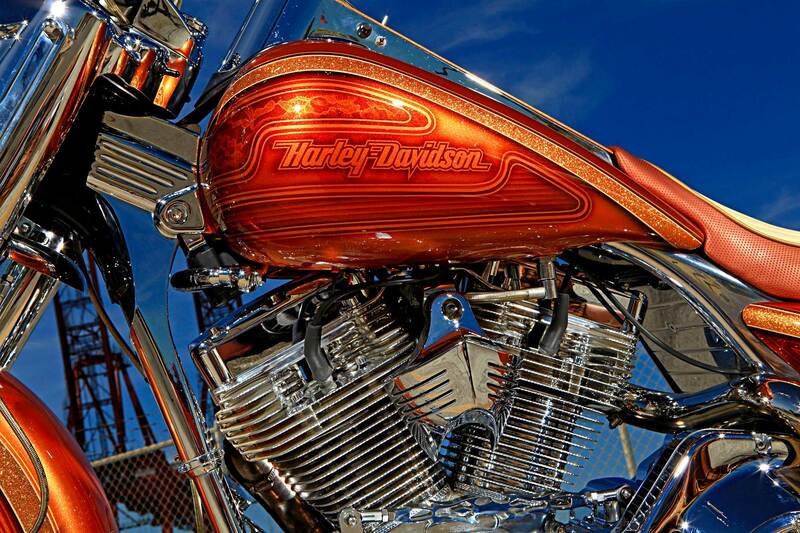 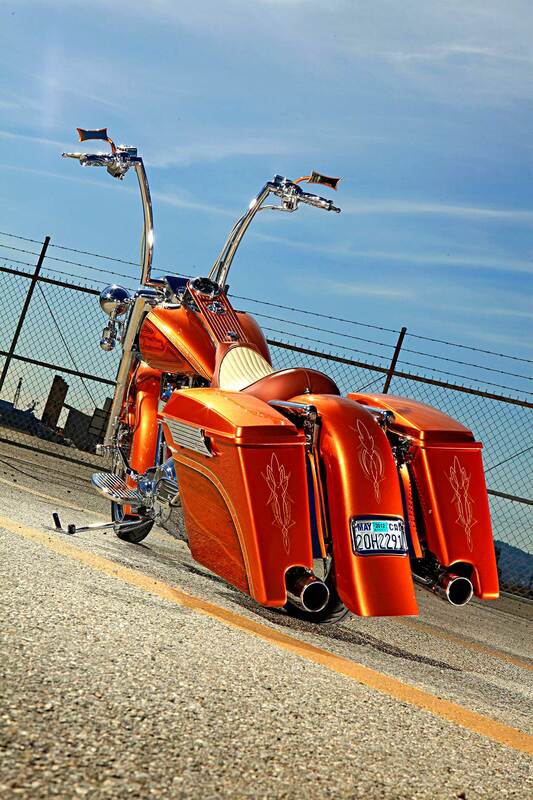 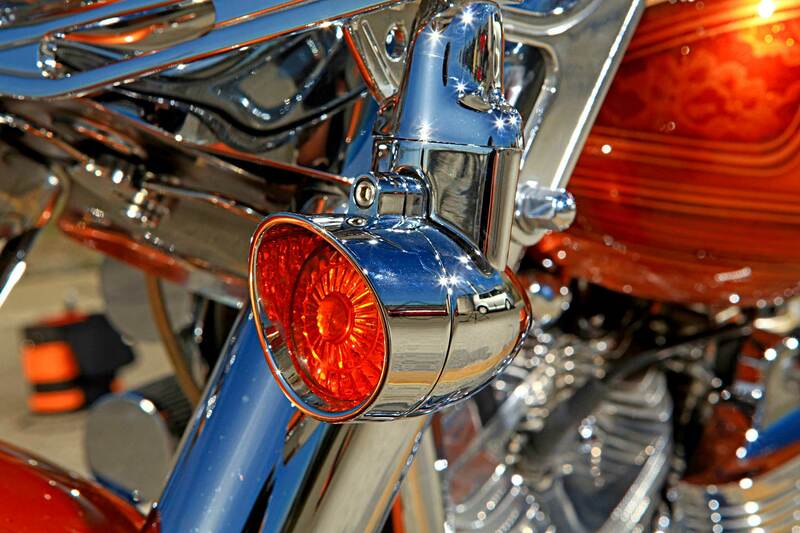 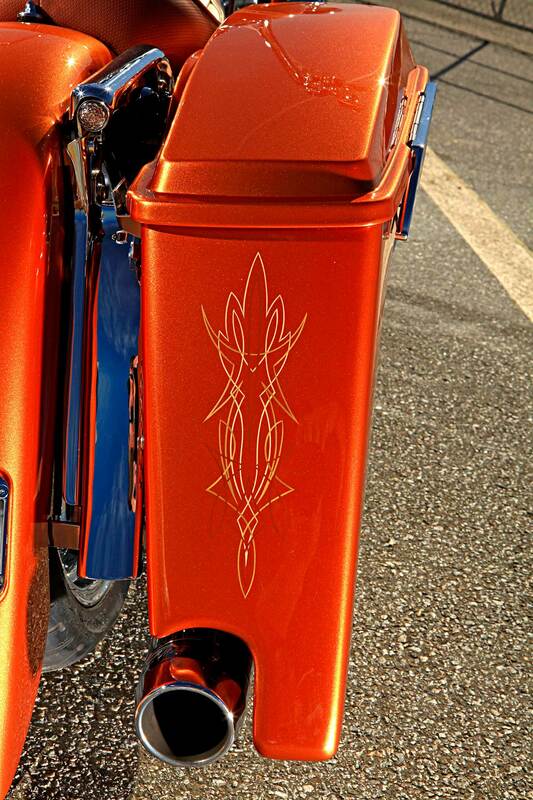 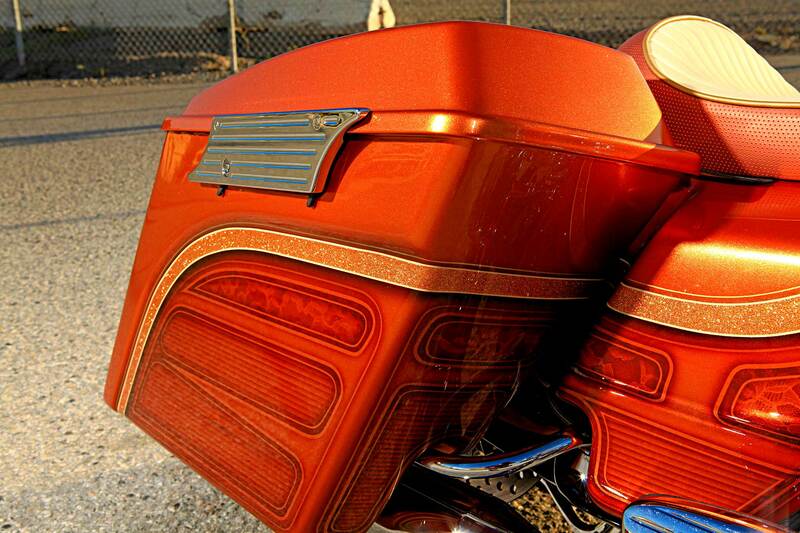 “When I had the Heritage I saw that a ton of people were going lowrider style with their bikes and having spoke wheels, so I kind of wanted to go with the bagger style. 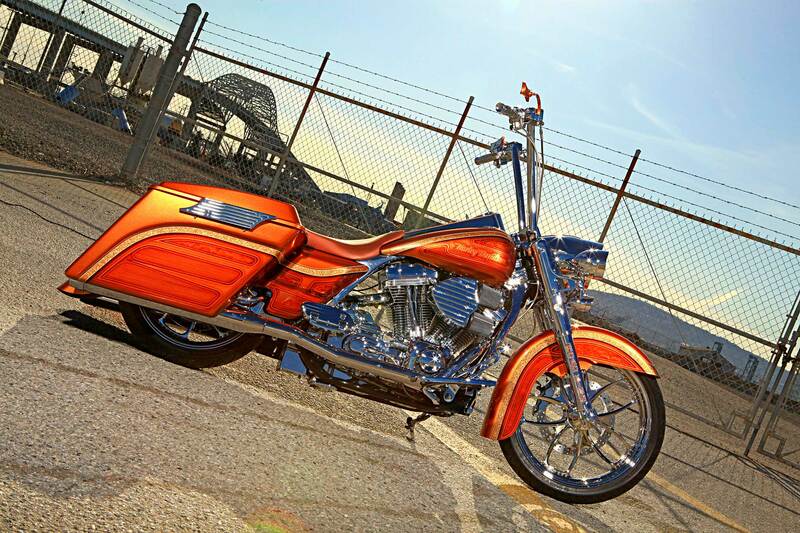 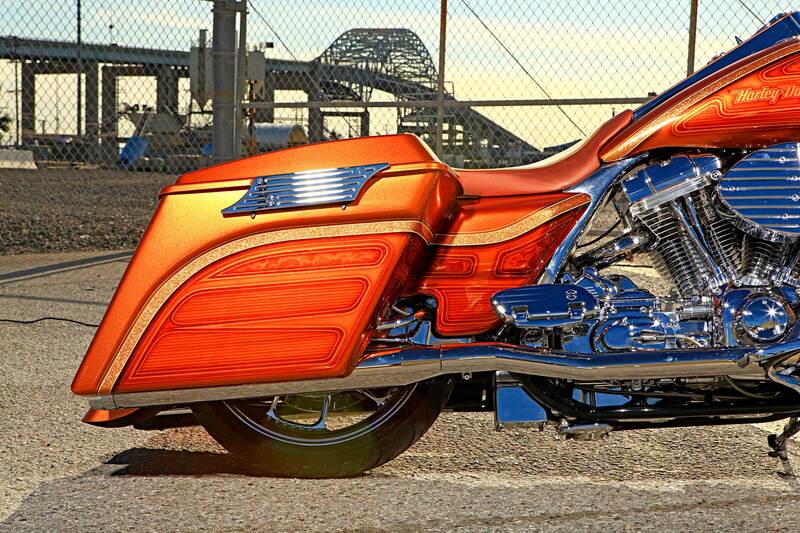 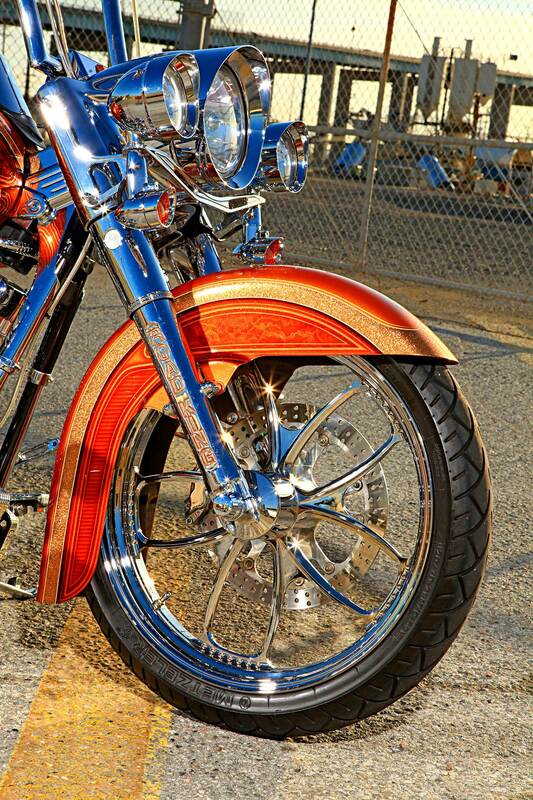 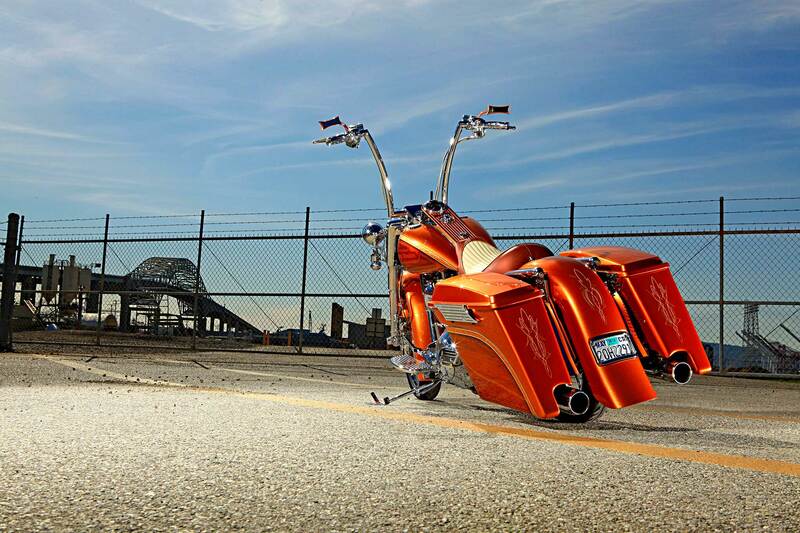 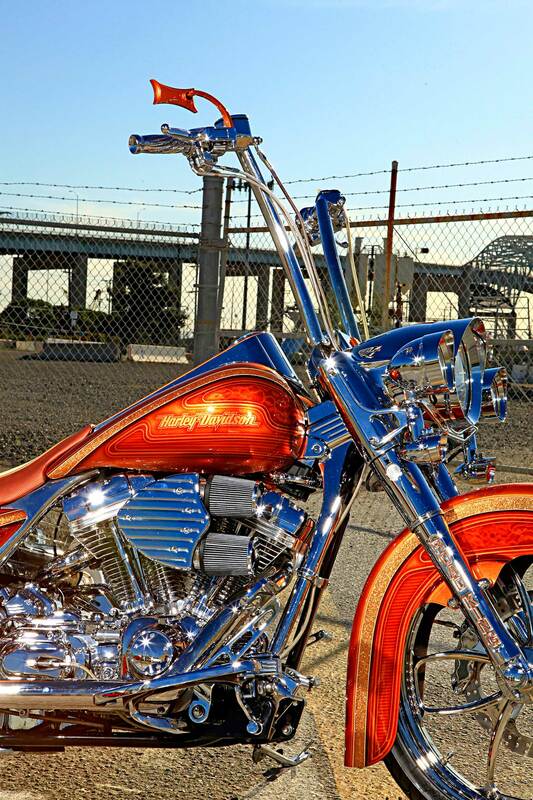 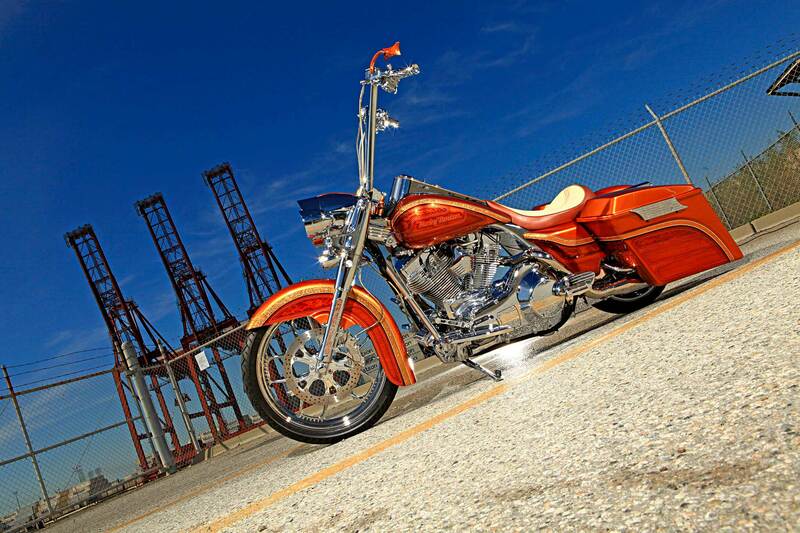 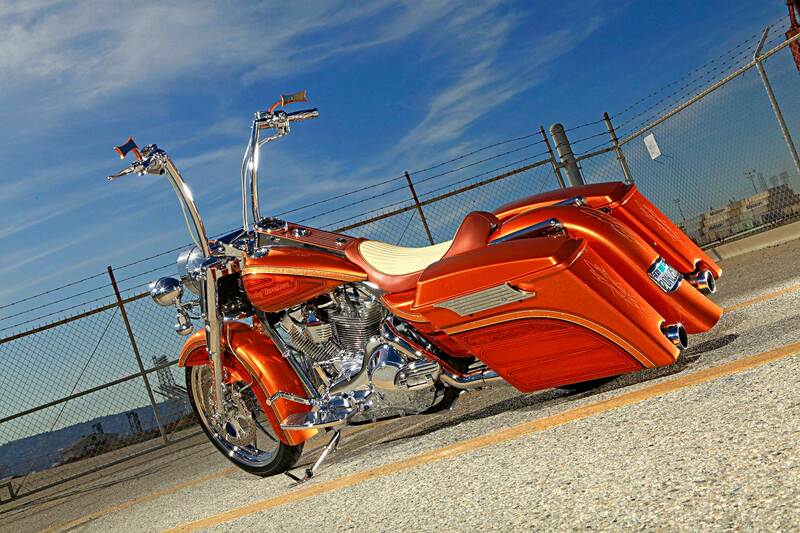 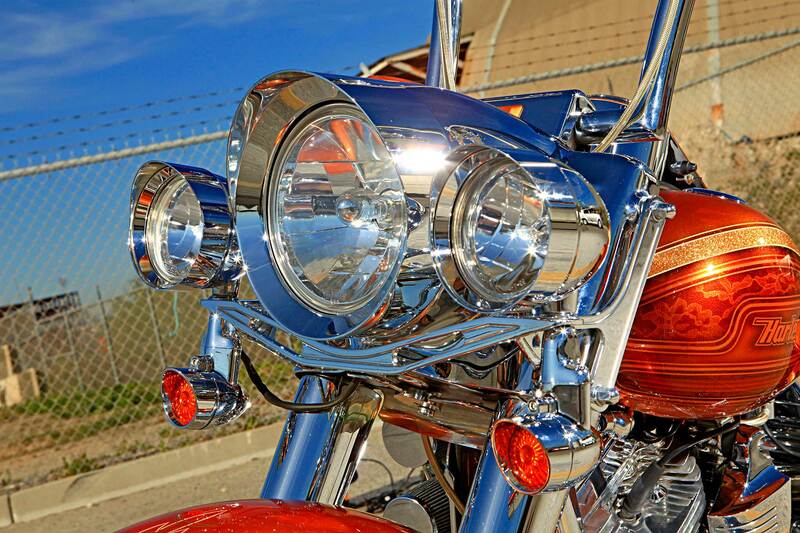 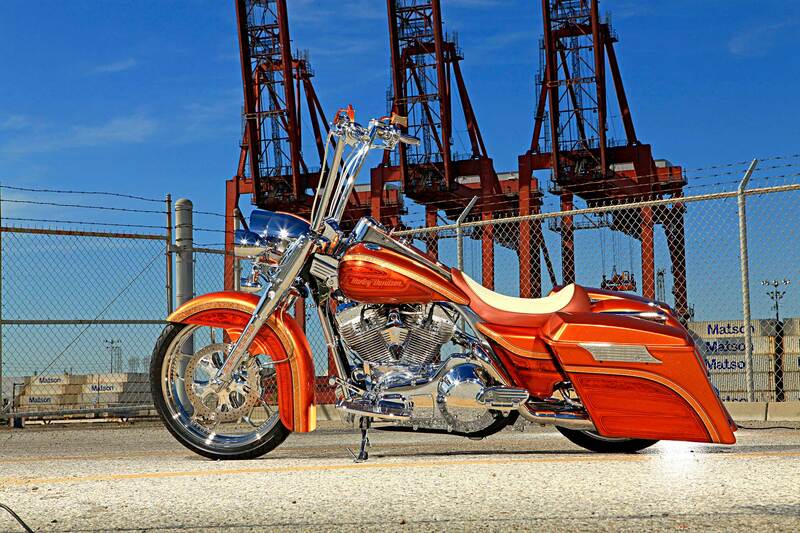 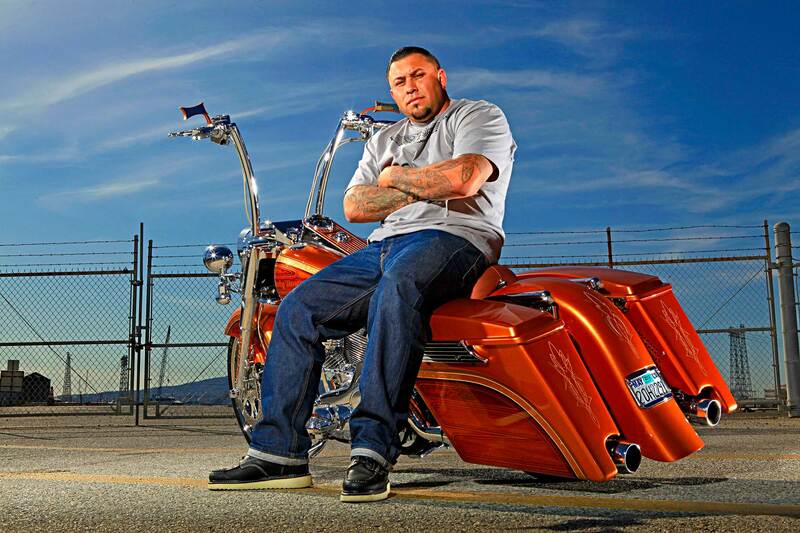 I wanted to see if I could keep the bagger with a chicano style instead of lowrider style with the spokes.” One of his goals for this bike was to set himself apart from everyone else. 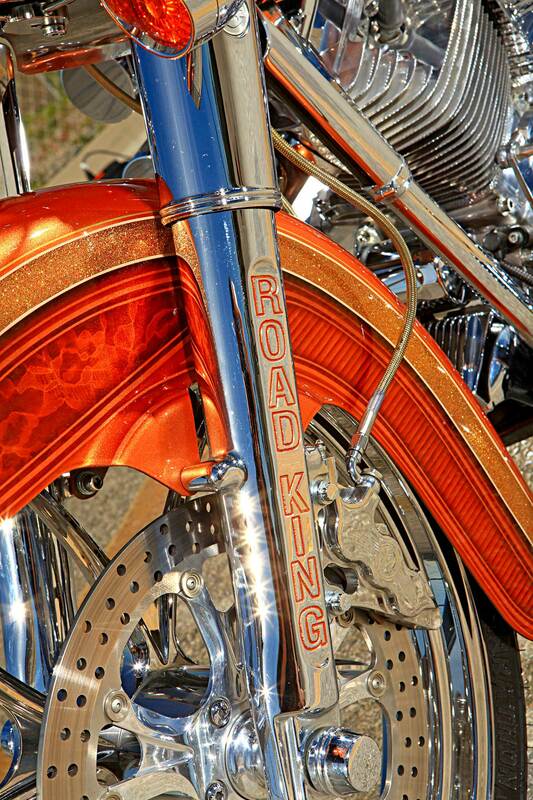 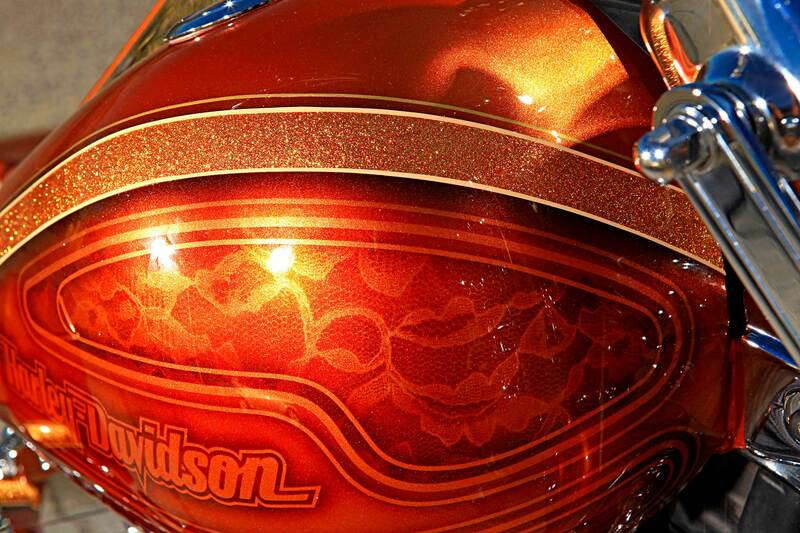 “You don’t want to build a bike like someone else’s, you want to set yourself apart from everyone else.” One of the things that he did to set himself apart was the paint scheme that he and his dad came up with. 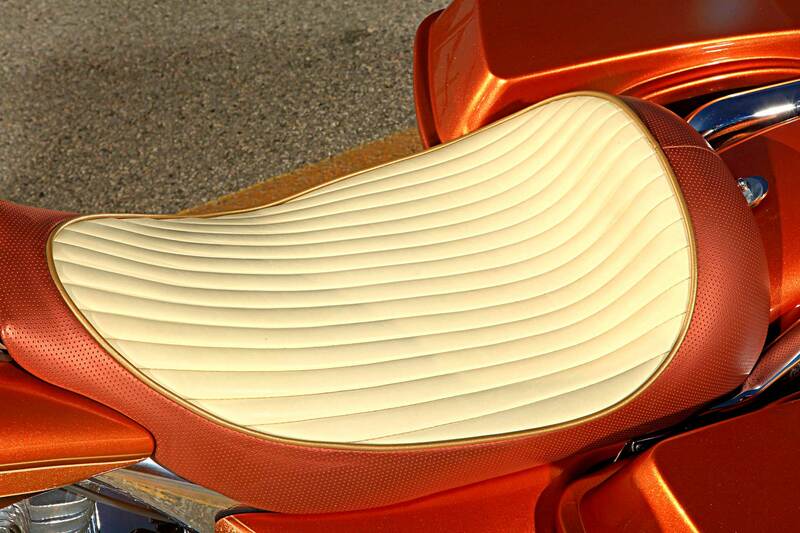 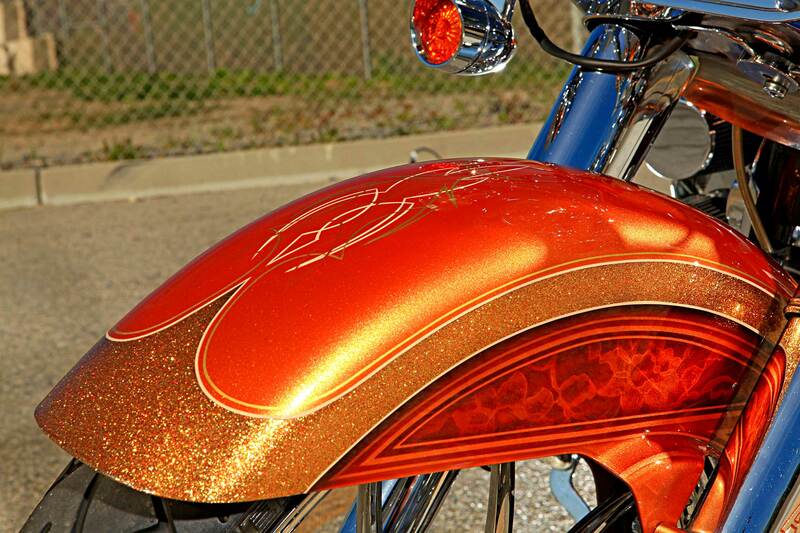 “From the flaking to the color, we came up with that. 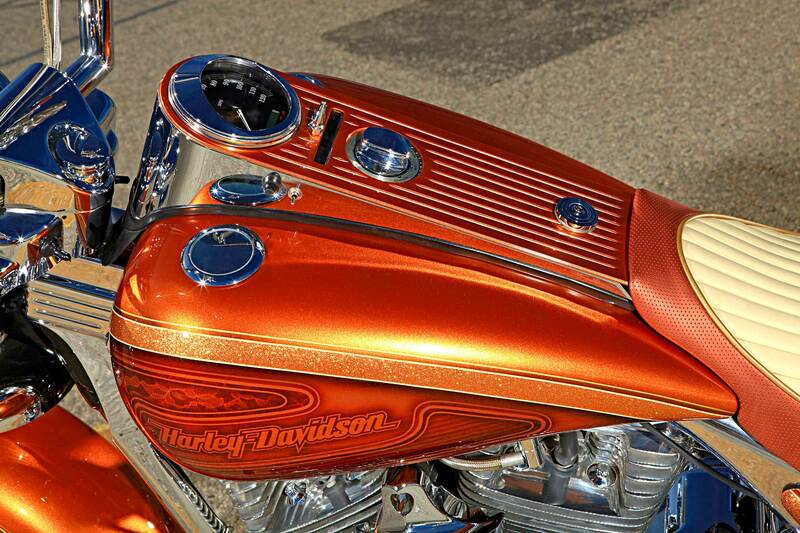 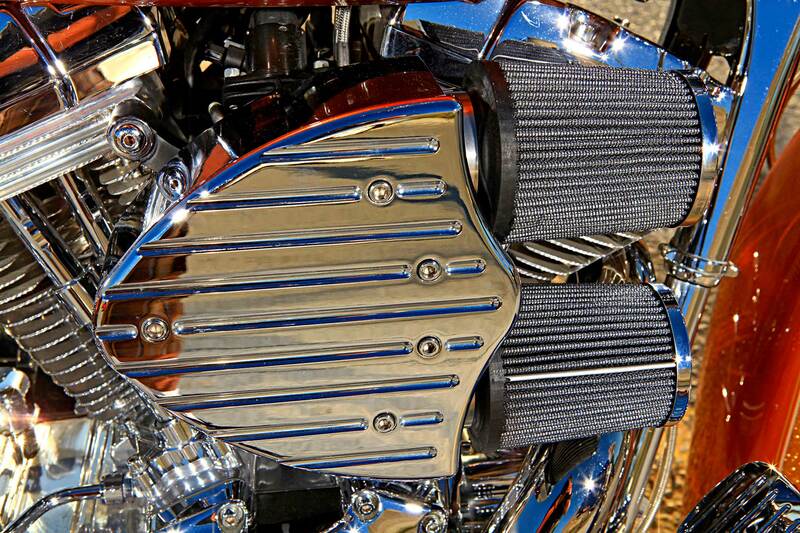 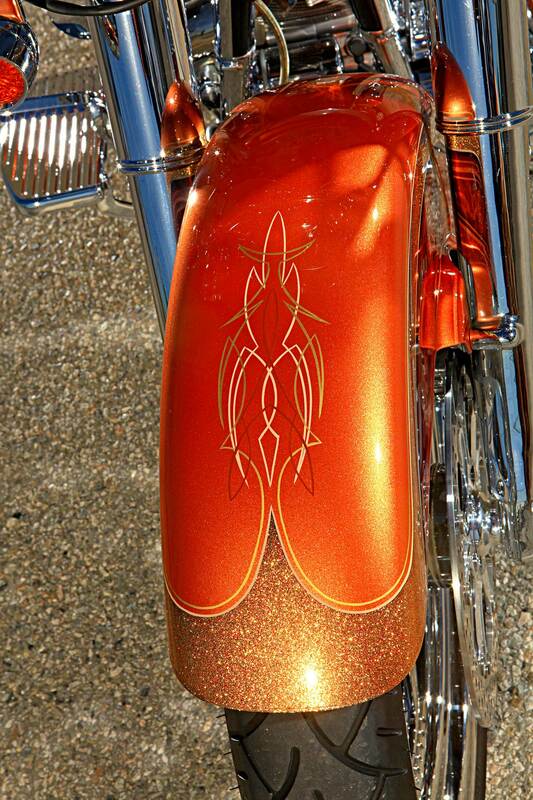 There are a lot of copper bikes in Aztec Gold but the Gama Candy Gold I went with is a rare color.” Another thing he did to stand out was to diamond-cut and polish the whole motor. 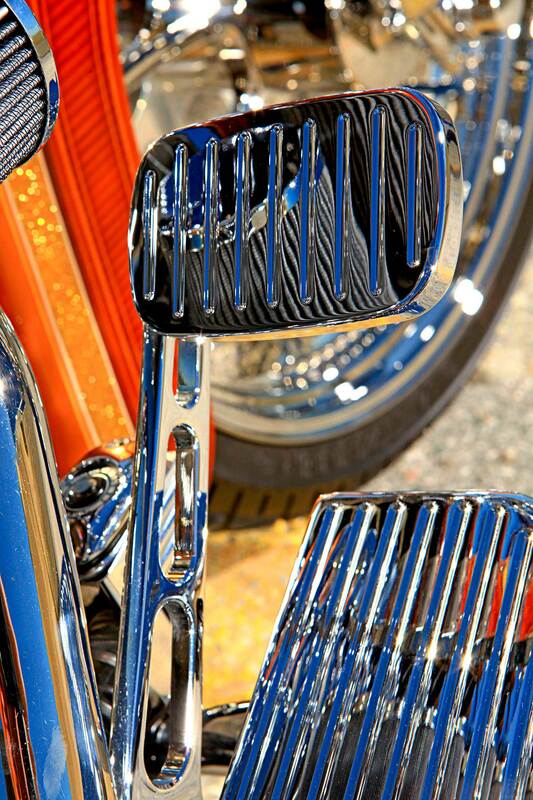 One of his hardest decisions was deciding whether to go with apes or beach bars. 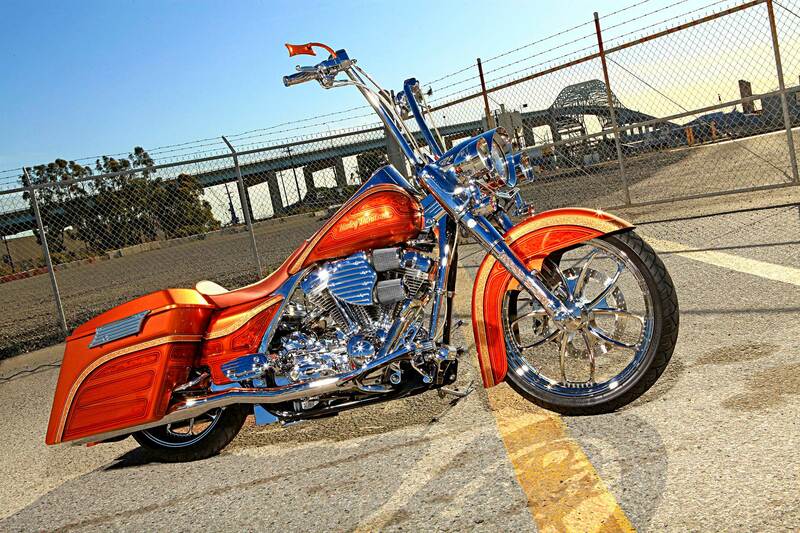 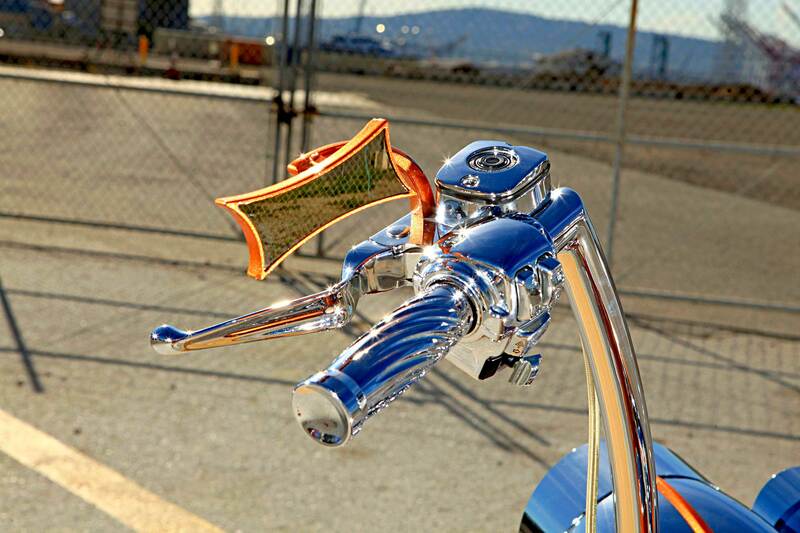 “Hyevon Choppers gets the credit for all the custom work done on my bike.” Dino finished up his bike in December and introduced it at the Easyrider show in Anaheim on January 7. 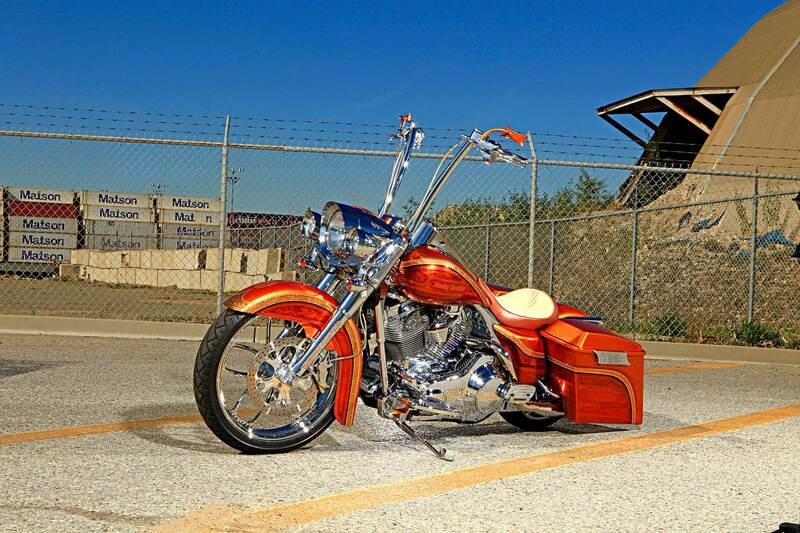 There he took First Place for modified baggers.